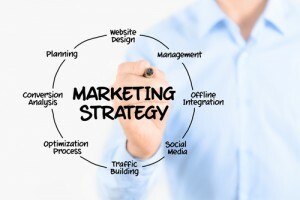 Internet marketing is crucial for businesses and brands, as it is a cost-effective way for them to maximize their reach to potential new customers and clients. Whether at work or at home, many people rely on the Internet on a daily basis to communicate with others, purchase products, learn about new things and accomplish a number of other activities. In fact, the rise of the mobile device within recent years has made the use of the Internet a more pervasive part of peoples’ lives, as they can now access information online via their cellphones, tablets and other mobile devices regardless of where they are physically located. With the Internet and all of the information it provides just a click away no matter where people may be, the focus on Internet marketing for businesses and brands is more important than ever, as failing to market in the online sphere can not only significantly impact a business’ growth, but it can also result in that business becoming irrelevant and obsolete within months. Internet marketing increases business’ reach – When businesses invest in Internet marketing solutions to develop their online presence, they can reach potential clients or customers throughout the world. More commonly, however, because many online searches are geographically specific (e.g., people will conduct a search for a product or service based on a specific city, rather than just searching the product or service by itself), businesses that have invested in developing their online presence will reach new customers or clients within their city or county who would have never otherwise have known about the business. Internet marketing is very cost-effective – Unlike traditional forms of marketing that tend to involve purchasing ads in printed media, televised media or radio media, online marketing is generally far cheaper than traditional marketing methods, costing in most cases pennies on the dollar.Additionally, when businesses invest in Internet marketing by developing traditional or mobile websites, they can see their initial investment have exponential returns in terms of attracting new customers and clients; this means that, in the long run, investing in a website for a business can be a sound and cost-effective marketing investment. Check out our upcoming Parts 2 and 3 of this blog for more reasons that Internet marketing is so important for companies and brands looking to grow their business and profits.